The report from market research firm IDC says 3.6 million Apple Watch units shipped in the second quarter of this year. 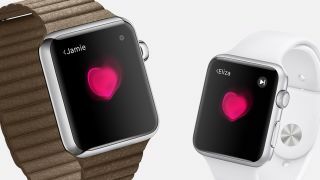 It puts the Apple Watch in second place in the wearables market, trailing behind Fitbit's 4.4 million units in the second quarter of 2015, with a difference of just 0.8 million units. "About two of every three smart wearables shipped this quarter was an Apple Watch," said Jitesh Ubrani, senior research analyst for IDC. IDC's findings come after conflicting numbers surfaced over the past few months, with one report suggesting the Apple Watch is failing and the other saying it owns 75% of the smartwatch market, though of course that focused only on smartwatches and not wearables in general. IDC's research report tracked over 30 vendors, with Xiaomi coming in at a surprising third place with 3.1 million shipments. "Xiaomi made a fairly big splash when it entered the wearables market last year with its Mi Band," IDC said, noting that while the Chinese firm recently expanded outside the country, "its limited distribution channels have been a dampening factor on its growth." Garmin and Samsung rounded out the top five, respectively. "Samsung narrowly edged out Huawei and Jawbone to remain among the top five vendors during the quarter," the research firm said. IDC also noted that there is a clear divide between smart wearables and basic wearables, including fitness trackers, and that the basic wearables sector will likely be facing challenges in competing with the expanded features offered by smart wearables.